On Wednesday of this week, we will have a HIGH temperature of five degrees Fahrenheit here at Chez GH. An Arctic blast that everyone I know – husband, dogs, friends, family – will hate. Juneau, Alaska will have a high of 23, downright balmy by comparison. To celebrate being trapped in the house, cleaning up after three restless dogs who are averse to going outside (just because their paws stick to the ground if they stand still — wimps! ), I’m going to write today about Alaskan Brewing Company. First off, Alaskan hits a lot of hedonistic chords with me. I love a lot of beers, but one of the first ones ever to make my lifelong A-list was their Alaskan Amber Ale, which has won a ridiculous number of medals and awards. In fact, there isn’t anything in their lineup that isn’t great, although a tiny amount of Smoked Porter goes a long way for me. But it’s how they do things in the process of creating that lovely liquid that makes me such a fan. Carbon dioxide is a natural byproduct of the brewing process, and a major greenhouse gas. In 1998, the brewery became the first in the U.S. to bring on line a carbon dioxide (CO2) reclamation system. The system captures and cleans carbon dioxide and uses it to package the beer and purge oxygen from holding tanks, preventing over a million pounds of CO2 from being released into the atmosphere each year. At the end of the brewing process, you’re left with thousands of pounds of soggy “spent grain” that has to go somewhere (I’m fortunate to be able to get a little from Tommyknocker Brewing to use in our compost). Many breweries are fortunate to have nearby farms or ranches that can put this waste product to use. Not so in Juneau, and so from the outset Alaskan has had to dry and ship theirs to Seattle for distribution. 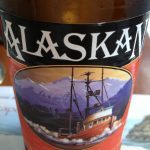 Even back in 1998 there weren’t enough cattle in all of Alaska to dispose of the spent grain Alaskan Brewing was producing. 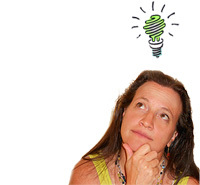 To dry things out (required to prevent rotting, ask me how I know – phew!) they employ a one-of-a-kind grain drying system that uses a biomass burner — fueled by spent grain! — to dry their waste products. And rather than shipping it all to the lower 48, they’ve also developed a steam boiler fueled entirely by spent grain. Read: They use their own waste product to drastically reduce both the cost of fuel and the cost of getting rid of it. Wild. After you boil up your grain and hops, you need to squeeze all that maltygood liquid out of what’s left; that’s what ferments into your icy cold beverage. 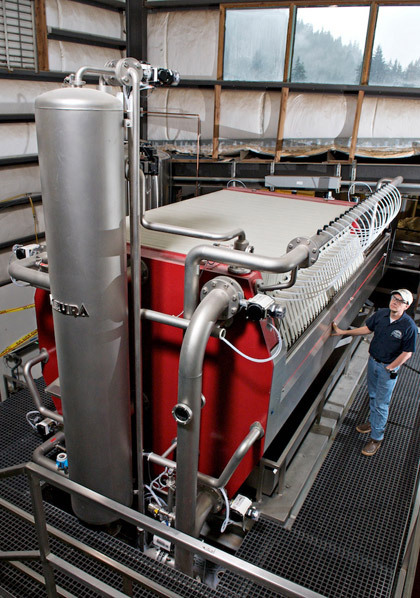 Alaskan was the first craft brewery in the United States to employ a highly efficient mash filter press, a massive piece of Belgian technology which reduces the amount of water, malt and hops needed to make their beer. That saves the brewery 360,000 pounds of malt a year, one million gallons of water, and 65,000 gallons of diesel fuel. And they recycle like crazy. And they allocate a percentage of their profits to their Coastal CODE Fund, which issues grants to individuals and organizations to clean up local/regional waterways. I could go on, but you guys get the idea. So. Why do I care about this? A lot of breweries and wineries at taking a stab at being more environmentally friendly, right? It makes for good PR. First, as a wannabe scientist, I’m always fascinated by the “necessity is the mother of invention” phenomenon. Alaskan didn’t set out to save the world; they set out to save themselves, and create something delicious in a sustainable, profitable way. I’m personally convinced that mentality – the triple bottom line – is the only mindset that has any chance of saving us. Second, I respect any company that has the foresight to aim for a net-zero energy manufacturing process. And third, the culinary result of adding a cup of Alaskan Smoked Porter to a pot of simmering chili is a religious experience that I want continue to enjoy, AND feel good about. Try it. Amazing.